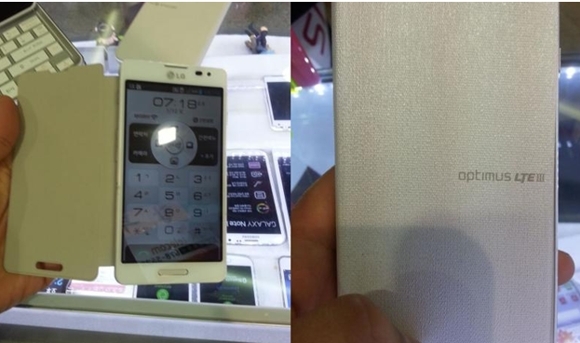 South Korean mobile phone maker LG Electronics is reportedly gearing up for the launch of new LTE-capable devices in the popular Optimus series, and one of them has already been spotted online. Dubbed LG Optimus LTE III, the new device is expected to make an appearance on shelves in the company’s homeland market in the not too distant future, although no official announcement on the matter has been made as of now. Featuring model number LG F260S, the handset is expected to be released on wireless carrier SK Telecom’s network, with Google’s Android 4.1.2 Jelly Bean operating system loaded on top. The smartphone is also said to feature an HD (1280 x 720) screen, along with a dual-core snapdragon processor and a 2540 mAh battery. The handset might arrive in other markets around the world as well, yet a formal announcement on this has yet to be made.